It’s going to be a slow week in the cosmos, which may be a welcomed relief for some. We have two sign changes, one planetary aspect, and a planetary directional change. So, the big newsmaker is Mercury turning direct in Pisces on March 28th, and based upon my social media feeds, and for many, it couldn’t happen any sooner. It’s been a rough retrograde, but let me tell you a secret, I hear that every Mercury retrograde. Mercury turning direct means that communication difficulties will improve but will take until April 17th to be completely resolved. However, the matters that Mercury retrograde befuddles – travel plans, electronic devices, making important decisions, purchases, and moving forward with plans can proceed. On a more personal level, you need to review the last three weeks and see if any themes kept repeating, so you can make changes where they are necessary. Journaling work and talking through issues with a trusted friend or confidant can be helpful when working through issues Mercury retrograde dredged to the surface. 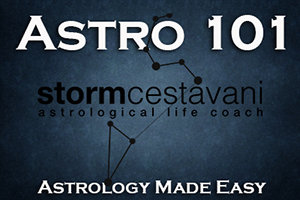 This entry was posted in astrology and tagged aries season, astrology, horoscopes, mars in gemini, mercury direct, Mercury in Pisces, Mercury retrograde, Storm Cestavani, venus in pisces, venus sextile uranus on March 23, 2019 by Storm Cestavani.